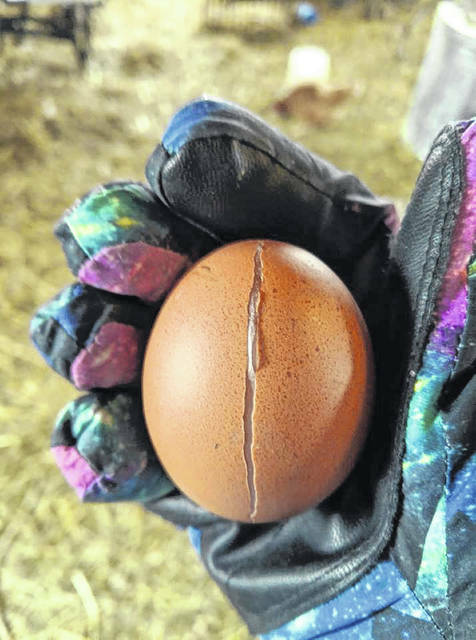 Erin Blake got to the barn early to retrieve eggs, but it was so cold some had already frozen. WILMINGTON — The noontime temperature was 5 degrees below zero Wednesday at the National Weather Service Wilmington office, with a Wind Chill Warning in effect until 7 p.m. followed by a Wind Chill Advisory from 7 p.m. Wednesday until 1 p.m. Thursday. 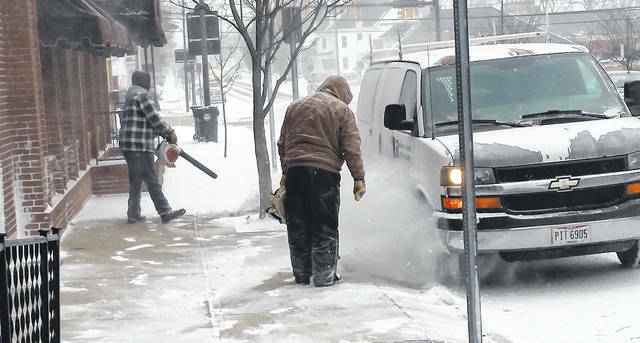 All local schools were closed Wednesday, including the campus of Wilmington College, as well as some businesses. And as popular saying goes: “Neither snow nor rain nor heat …” will stop the mail from being delivered — but extreme cold did so Wednesday throughout many Midwestern states. But relief, as well as a thaw, is around the corner. Although Thursday’s temperatures are only expected to reach the mid-teens in Clinton County, by Friday the expected high will be around the freezing mark — before highs in the 40s Saturday and the 50s on Sunday and Monday, according to AccuWeather. In Chicago, temperatures were still dropping after plunging early Wednesday to minus 19 degrees, breaking the day’s previous record low set in 1966, though wind chills in northern Illinois made it feel as cold as negative 57 degrees).